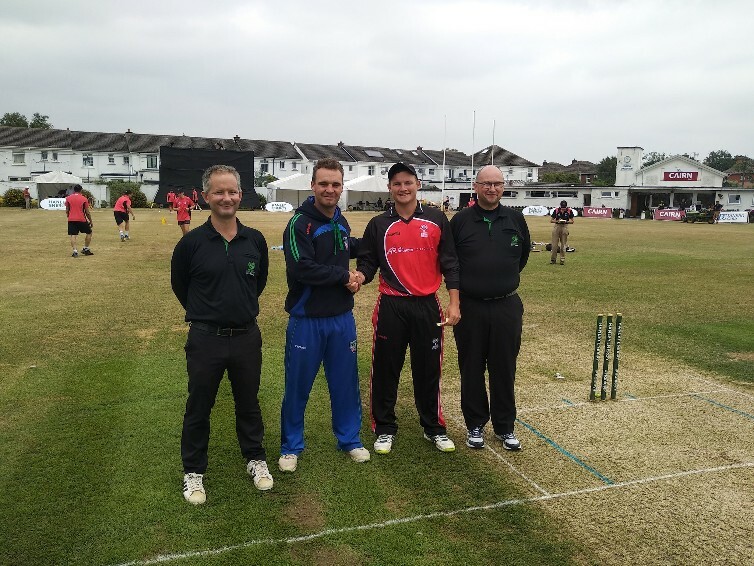 A historic day for Munster Cricket, as the Reds - captained by Cork County's Jeremy Benton - won their first ever game in the Hanley Energy Interprovincial T20, defeating the North-West Warriors by six wickets in the first game of this weekend's festival. The Reds had early billing, playing against Andrew McBrine's North-West Warriors at 11am, who were taken to the last over by Ted Williamson's side in the reverse fixture at Eglinton a few weeks ago. This time the Reds were back at Pembroke, and having won the toss and sent the Warriors into bat, they had an early breakthrough, as Porterfield hit the final ball of the game's first over right into the hands of Ruadhán Jones. North-West Warriors 162-7 (20) (A Gillespie 80*; Y Ali 2-27, D Delany 2-30) lost to Munster Reds 163-4 (17) (S Doheny 64, R Forrest 36; A McBrine 2-32) by six wickets.